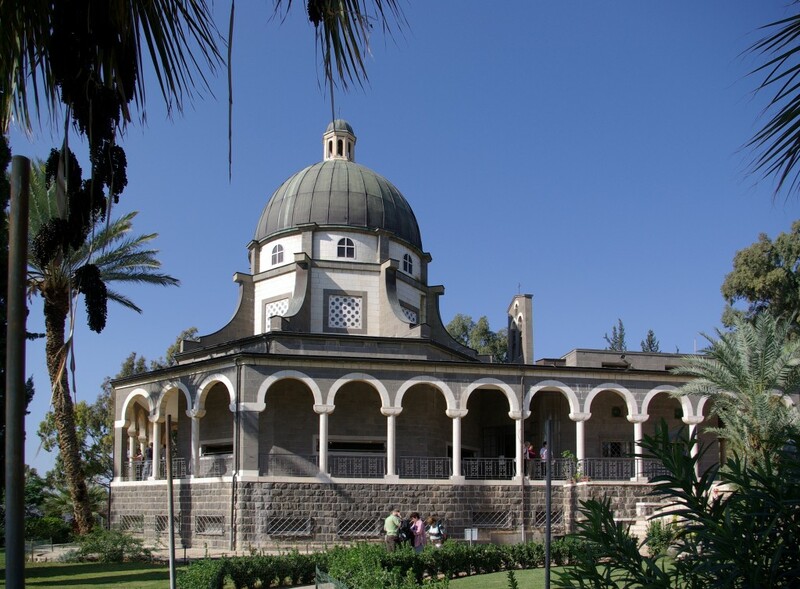 The Mount of Beatitudes refers to a hill in northern Israel where Jesus is believed to have delivered the Sermon on the Mount. The traditional location for the Mount of Beatitudes is on the north western shore of the Sea of Galilee, between Capernaum and Gennesaret (Ginosar). The actual location of the Sermon on the Mount is not certain, but the present site (also known as Mount Eremos) has been commemorated for more than 1600 years. The site is very near Tabgha. Other suggested locations have included the nearby Mount Arbel, or even the Horns of Hattin.